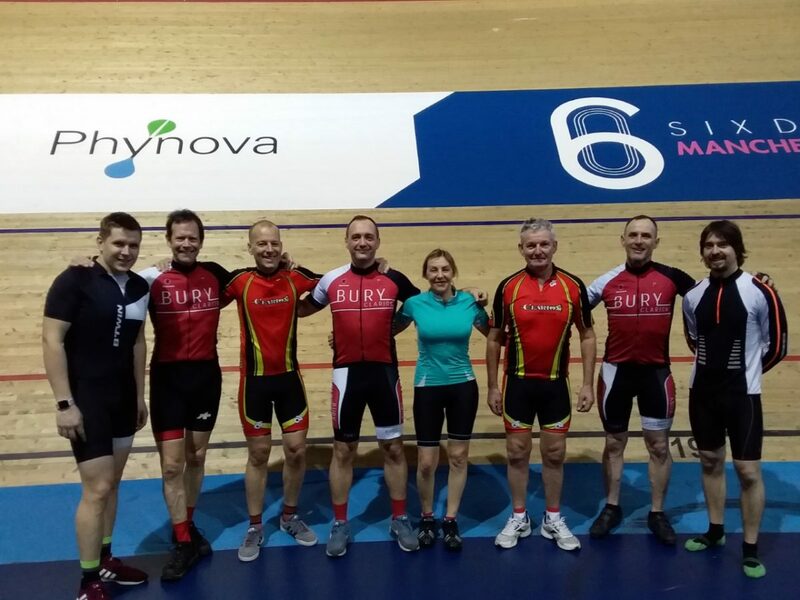 Phynova recently teamed up with local cycling club, Bury Clarion in the build-up to the Phynova Six Day Manchester event, offering them the chance to come ride on the Manchester Velodrome, learn more about Phynova and enjoy the launch of the event. “As a cycling club based near Manchester, we were delighted to be offered the opportunity to ride our home track at the Manchester Velodrome, a venue which has undoubtedly also become the unofficial home of British Cycling in the last decade or so. It’s great that a company like Phynova sponsors international cycling events such as this, whilst still engaging with the local grass roots cycling community. We were also given the opportunity to watch the extremely exciting Phynova Six Day racing series later that evening. It was great to see how fast the professionals can ride round the same track we were on only a few hours earlier! We were joined in the evening by some of our junior riders, the Bury Clarion Bullets. They enjoyed the excitement of the track racing so much they have now requested a track session of their own. The benefits of physical activity, whether it be cycling, a brisk walk or gardening have numerous physical and mental benefits, something especially important later in life as we all experience niggles and aches. Phynova Joint and Muscle Relief tablets can be taken as part of a healthy and active lifestyle, to enable you to enjoy and live your life to the full.